Inside Out is Jacksonville’s largest multimedia art project created to help minimize the stigma surrounding mental illness. Over 70 individuals in and around Jacksonville have contributed and continue to contribute to the project. 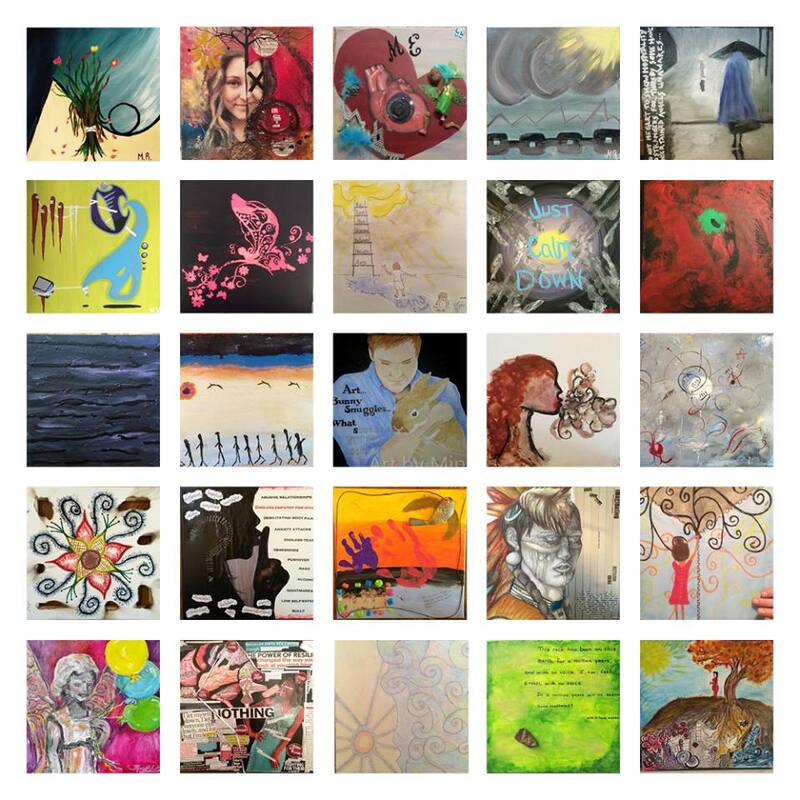 Each 12 x 12 canvas and is a visual representation of each artist’s view of their own diagnosis. Family members who have experienced tragic loss due to a loved one’s mental illness have also contributed. Each canvas is extremely unique. Each brave individual participating in the project has “come out” about mental illness and is determined to help minimize the stigma. “Inside Out” is a visual journey through mental illness. 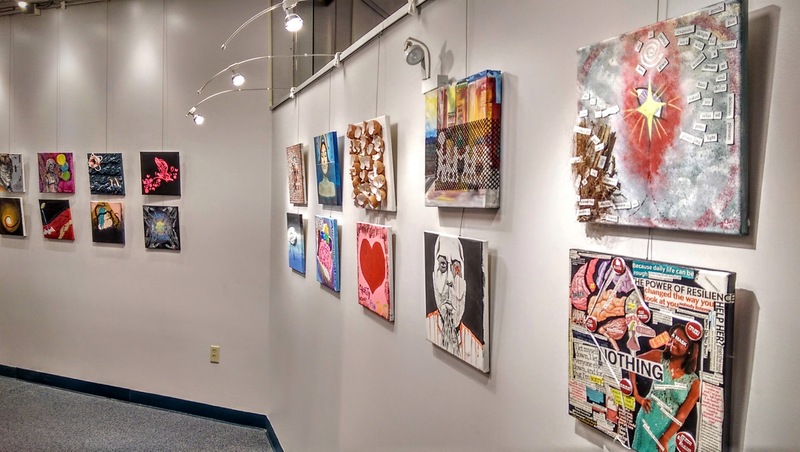 Participants bravely express candid works of art that convey to the viewer what it feels like to struggle with diagnoses such as depression, anxiety, OCD and bipolar disorder. 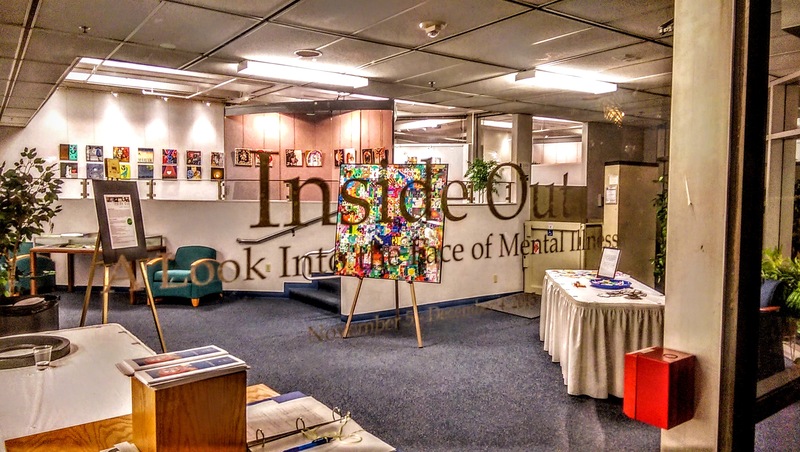 Inside Out explores self-harm and suicide and allows those living with mental illness a space to confront their feelings and, through art, try to make sense of it all.